At GoodWorkLabs we are at the forefront of developing upcoming cutting edge mobility solutions, right from developing the best enterprise mobility platform to implementing and innovating on new technology. And we are now breaking barriers by being one of the first providers of Progressive Web Apps (PWA) in the market. In a world where users are increasingly adapting mobile devices as their primary source of access to the internet, Progressive Web Apps (PWA) are a radical solution to make mobile applications available faster and across platforms, with the least amount of effort. As Google Partners we are in a unique position to provide mobile-first solutions to our clients, helping them radicalize their businesses rapidly and without hassle. 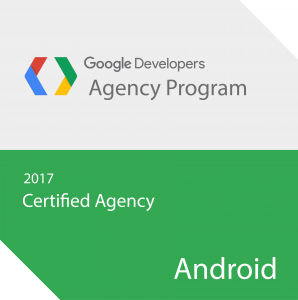 GoodWorkLabs is one of the six developer agencies from India who has been recognized and certified as a Google Developer agency. This certification goes on to validate our expertise and skills in building cutting-edge technologies for businesses. We believe that these are way too many criteria to consider while developing something like an application. And that is why at GoodWorkLabs we help brands rapidly create progressive mobile apps that are not only super-fast and lite, but also are almost completely connectivity independent and adaptive across devices and screen-sizes. The biggest concern for companies is not about getting footfalls but about getting users to download apps hence establishing a line of contact. Converting web audiences to app is quite a challenge as most users are not willing to spend the time taken to visit app stores, or download apps that eat into a lot of their data. At GoodWorkLabs Progressive Web Apps (PWA) are built in a way to allow users to directly “install” the app from websites, and pin the app to their home screens. Apps are suited to be adaptive across devices and seamlessly blend into native app-like design and interface. Unlike traditional mobile apps, progressive web apps do not take up a large amount of space on user devices, are supportable across devices irrespective of form factor, and are supported by the Service Worker technology to provide offline compatibility and constant background updating. All these factors and more result in Progressive Web Apps (PWA) being the ideal solution for you if you want fast and accessible presence across your user-base. 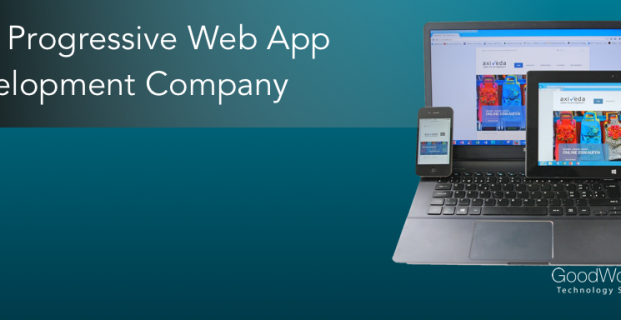 As the providers of the Best Web and Mobile App Solutions, we can confidently say that Progressive Web Apps (PWA) are set to revolutionize the way users and companies interact. From the development aspect, opting for a progressive web app (PWA) for your company will result in a rapidly deployable product that is highly responsive and matches up to the user experience of having a specifically created native app. No Limitations: Progressive Web Apps (PWA) can be downloaded by a user irrespective of browser or device specifications. Offline Connectivity: Service Worker lets users access apps even if network connectivity is shaky. The more the user interacts with the app, the faster it gets. App Shell Model: Built on the App Shell Model, Progressive Web Apps (PWA) look and feel incredible. They are known for providing incredible user experience without interruption or loss of speed. Increased Engagement: Progressive Web Apps (PWA) are optimized to not only be easily discoverable but also lets businesses send out push notifications to bridge communication between user and brand. Installable and Safe: Apps can not only be installed and stored on device home screens for easy access, but their HTTPS protocol makes them the safest option for functions that require private user data. If you would like to develop Progressive web apps for your business, just drop a quick message with your requirements below.